Nothing says the orbit of your planet has to be as close to circular as the Earth's. All orbits are elliptical, with the sun at one of the two foci. (Even a circle is an ellipse, it just has both foci in the same space). The eccentricity of the ellipse is a measure between 0 and 1 of how stretched out it is; if it is very small the orbit is nearly circular. Earth's eccentricity is 0.02. 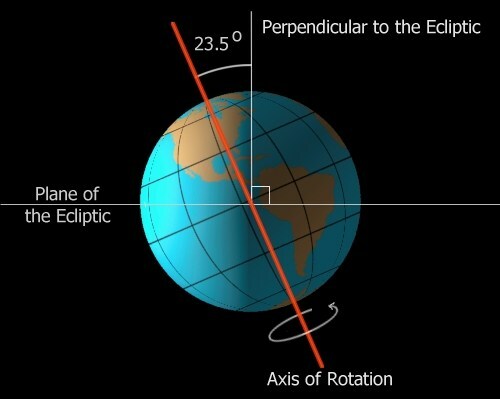 Regardless of any axial tilt; if the orbit of your planet is stretched enough, it will be close to its sun for part of the year (closest at perihelion) and far from its sun for part of the year (furthest at aphelion), and these can correspond to a hot summer and cold winter, respectively. On Earth, this is a variation of just 3%, but it can be made longer. No elliptical orbit is off limits; Haley's comet is in orbit around the Sun, and it's distance varies from 88 million km to 5.2 Billion kilometers; i.e. inside the orbit of Venus (108 million km) to outside the orbit of Neptune (4.5 billion km); with corresponding super-heating and deep freeze. So just a very little bit more eccentricity (stretching) of your orbit can do this, it doesn't have to be extreme. I don't have the formula for computing the solar energy reaching the planet (should follow a square law I think) or for translating that into average temperatures; but that is where I would take the research next. Perhaps other readers know this off the top of their head. I think this is the least exotic method of increasing the extremes between summer and winter, just make the planet about 10% further away from its sun in winter than it is in summer. If you want averages of 25 degrees C during summer and -40 degrees C during winter, you don’t really need an axial tilt which is higher than that of the earth, or even a higher eccentricity. Indeed there are real places in Siberia which already have averages comparable to the ones you prescribed. Notice that the key feature of these climates is the tremendous continentality caused by the lack of nearby water bodies, which allows the Siberian high to form and thus allows for such massive seasonal fluctuations. Hence, one possible solution to this is just to make our own planet more continental (e.g. get rid of the Arctic and Pacific oceans). The answer by Jannis explains that increasing the axial tilt of your planet will do this. The other thing that will help is a large continent at mid-latitudes. "Large" so that the middle is a long way from the moderating effect of the oceans (water heats up and cools down much more slowly than rock). If it is too near the equator there isn't much variation in sunlight over the year; if it too near the pole there isn't enough sunlight in summer to get it hot. Not very coincidentally, Minnesota (with a range of ±40 C) as pointed out by Dave Sherohman is right in the middle of the North American continent at about 46⁰N. As you might know: the seasons are related to the earths not linear axis. The effect of the axial tilt means more and 'stronger' sunlight for summer the summer season, while less for winter season. If you shift the axis much more, seasons will get stronger and with that more area has the polar night and day. Per Amadeus's answer, increasing the planet's orbit sufficiently should, indeed, make for warmer Summers and colder Winters. (This should be a comment but I'm a little short of the requisite reputation for it.) However, it must be noted that seasons produced in such a fashion would not be of equal length. Haley's comet, for example, spends well under a tenth of its time anywhere even near the Sun. This need not be a problem, of course, but it must be noted. Summers on such a world would be unusually short and the Winters excessively long. You may be able to counter this but only by softening the extreme changes you are after. For an exotic choice, your Summers and Winters could be literally day and night. Venus's day-night cycle lasts 116.75 Earth days. You could do the same for your world. Six months of nighttime and six months of daylight would make for an fascinating--albeit deadly--world. Another possible twist: a planet rotating around double star. Given a right orbit and the fact that one star is going around another in the same time, you can get superhot seasons when the planet is close to the "outer" star and supercold seasons when it's on the opposite side from the main star. Another interesting option would be having an elliptical orbit mixed with a fast precession) or even a variable axis tilt, not sure if this is possible). This has been used in Tom Godwin's "The Survivors" --- you can have two different cycle mixing: for example, a series of mild seasons, corresponding to low tilt, followed by a period of harsh one, with high tilt in the case of variable tilt. See also A Planet Where The Four Seasons Occur Multiple Times In One Year? Temperatures on the surface of Mercury are extreme, both hot and cold. During the day, temperatures on Mercury's surface can reach 800 degrees Fahrenheit (430 degrees Celsius). Because the planet has no atmosphere to retain that heat, nighttime temperatures on the surface can drop to minus 290 degrees Fahrenheit (minus 180 degrees Celsius). Thin atmosphere -- this way the night side can get really cold. This is true for even objects like Earth's moon. Reasonably close to the sun, so you get HOT and cold... if you are further out like Pluto, you just get "really cold" and "even colder". A point to note about using high-excentricity orbits is that winters will last longer than summers due to lower orbiting speeds farther from the star; a classical example of this is Verne's Off on a Comet. How to bring water and heat to an isolated and poor mountain village with extremely low costs? 8 seasons instead of 4, why?